For Christmas, somebody had the brilliant idea to give me this little beauty. 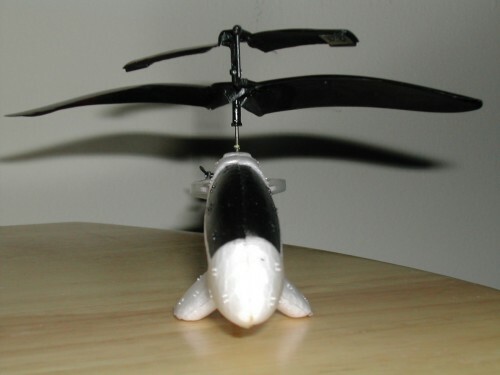 It's a very small, lightweight remote control helicopter. And it's fantabulous. It's about 8 inches long, and made mostly of styrofoam. The rotors are made of flexible black plastic, which makes them especially durable when you run into things (which I do all the time). The whole thing weighs about as much as two cdrs (sorry, it's all I had handy to compare with), which is really impressive when you consider the fact that it's got a battery and motor strong enough to keep it up in the air for 15 minutes or so between recharges. The controller is pretty straight forward; the left lever controls the throttle, the right lever controls the yaw (it turns the copter left and right), and there's a trim adjustment under the yaw lever which is basically an alignment adjustment for the yaw. It also has three channels (the A B C switch in the middle), in case you get together with some friends who have the same device. 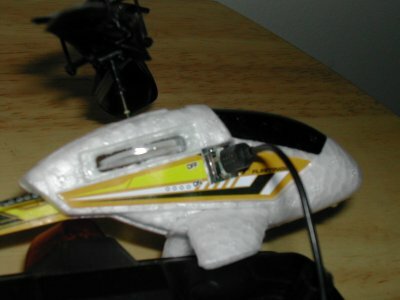 One bit that I found kind of odd was that the helicopter charges directly from the controller. I would have expected an adapter that plugs into the wall. 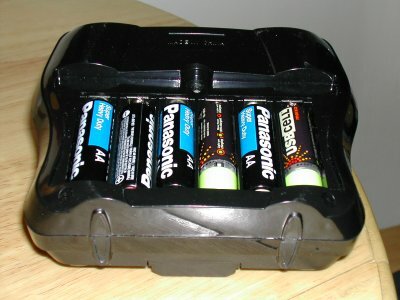 But this seems to work fine, as long as you have enough AA batteries. 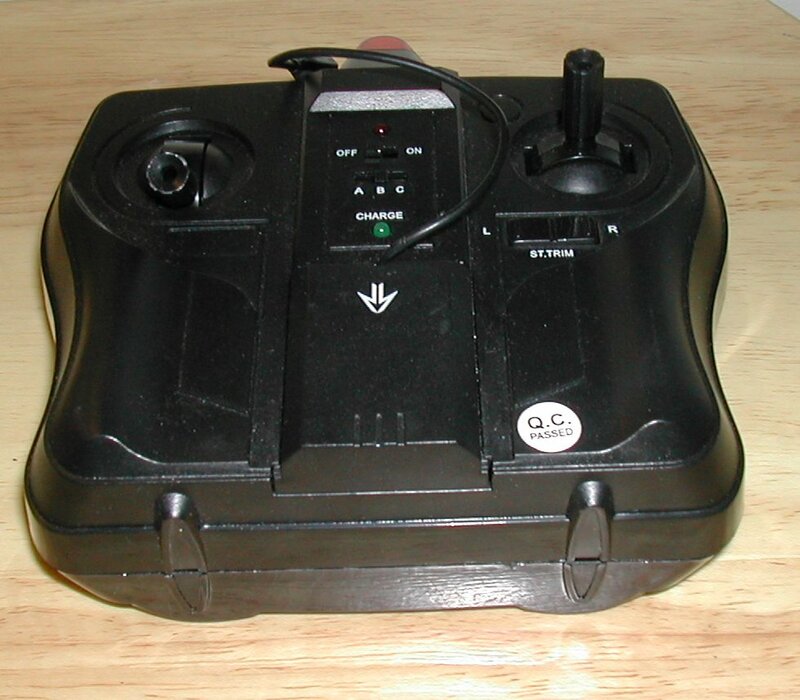 The controller takes 6 AA batteries. I would recommend getting 6 usbcell batteries so you don't waste throwaways. It's meant to be flown indoors. I've crashed mine into the ceilings, walls, and random furniture over and over again, and it still works fine. 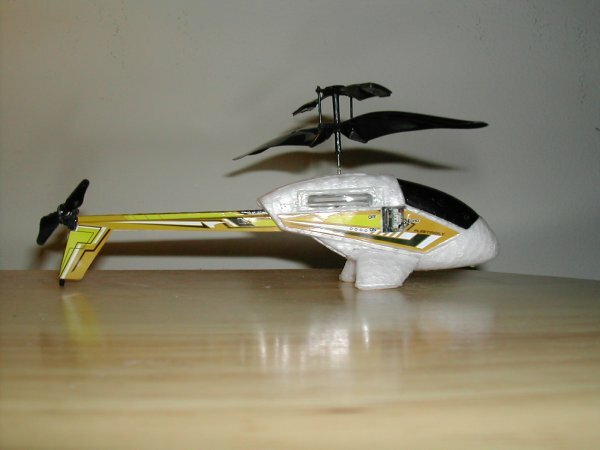 It's really simple to get off the ground and sort of fly it, but to really control it takes a lot of patience. All told, it's total zuitnis. I feel much better about my abysmal performance now that you've said all the things you've crashed it into.